If you are looking for a career opportunity with a customer focused company that has a long term history of growth and expansion… look no further. If you believe in providing quality products and you enjoy developing relationships and providing service support to an existing customer base and if you have sales experience calling on restaurants, hotels, motels and healthcare facilities we would like to meet you. 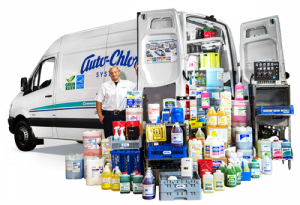 Our Auto-Chlor business is well established with customers in Omaha, Kansas and Western Missouri. We are family owned and operated. We provide employees with competitive productivity based pay, a comprehensive benefits program, paid holidays and vacation days. If you think you are the perfect fit, submit an application.